We heard valuable tips and insights from the presenters on the night from topics touching on bootstrapping and setting up your application, creating a living style guide, testing and the much loved Typescript! Check out some photos and links to the presentations below! The event attracted 250 RSVP’s and a large waiting list. 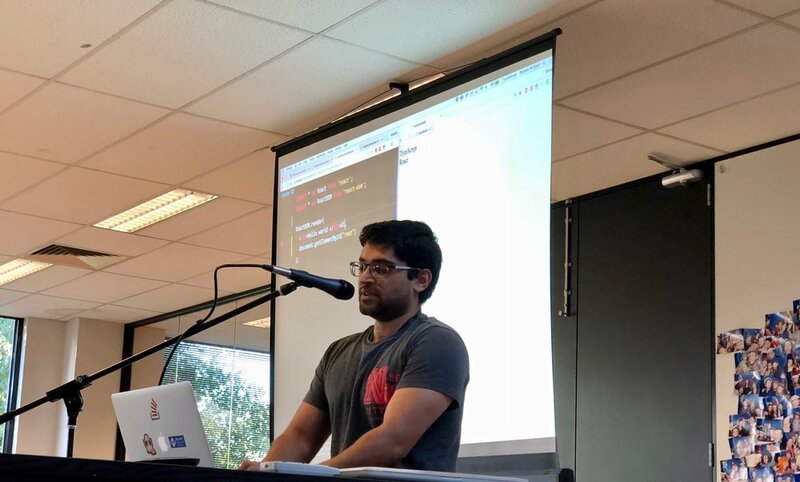 Bas talking about how React + Typescript are used at Auspost.